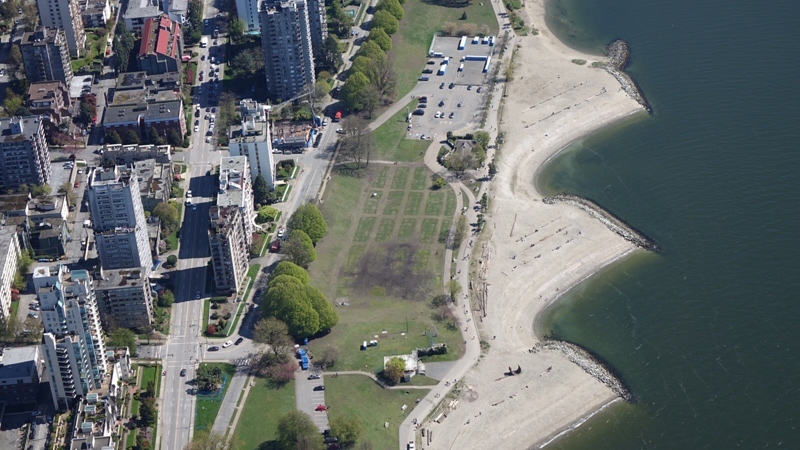 The fields around Vancouver's Sunset Beach could be closed for upwards of a month following a massive 4/20 pot rally that drew an estimated 40,000 people – and left the area a muddy mess. Howard Normann, Director of Parks for the City of Vancouver, said while the field was left in great shape after the 2016 event because of the dry spring, this year's soggy weather means the grassy areas hadn't dried out after days of rain. "It hasn't had a chance to dry up, so it's a bit of a Woodstock 2017 down there," he told CTV News. 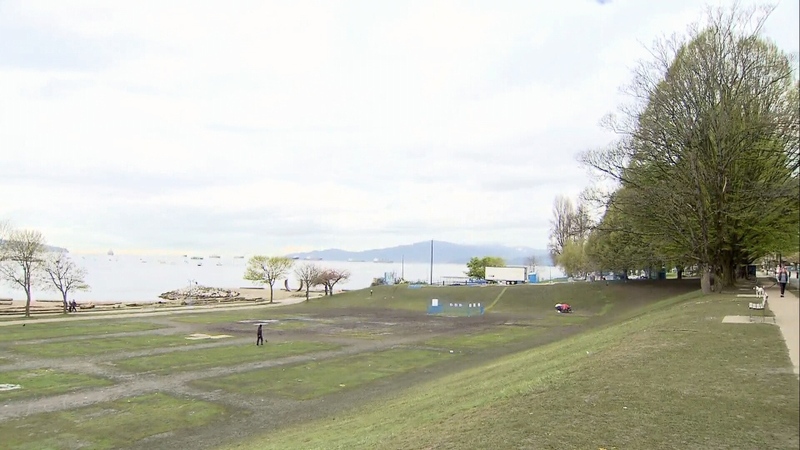 Volunteers worked through the night to clean up after thousands of pot smokers took over the popular beach for the unsanctioned event, which did not have a permit from the Vancouver Park Board. Organizers had a deal with the city where its volunteers would stack all the garbage in one location and city crews would remove it. An estimated 5,000 to 6,000 pounds of garbage had to be hauled away, though most of it was done throughout the night. The grass around the venue is in bad shape and the lawn will need re-seeding. 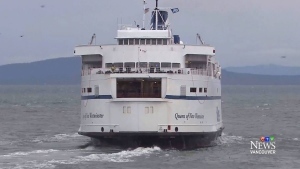 "We'll probably end up closing it for I'm guessing four weeks," said Normann, adding that it will cost thousands of dollars and require large crews to complete the work. This year, the park board says it will invoice organizers for some of the costs, though it’s unclear how much they’ll chip in. Normann says he sees the biggest issue as the loss of green space in the waterfront park. "People coming to toss a soccer ball, use a Frisbee, that’s the biggest issue for us," he said. Vancouver police say although emergency services were "kept on high alert" during the festivities, there were few significant incidents to speak of at the marijuana rally, which culminated with a massive "smoke-in" at 4:20 p.m.
At its peak, there were 40,000 attendees and 525 vendor tents at Sunset Beach. First responders attended to 39 medical emergencies and 19 people were taken to hospital for further treatment, according to VPD. However, St. Paul's Hospital downtown said a total of 66 people were brought in to its emergency department, including 10 people who were under the age of 20. The youngest patient was 14. A spokesperson for Providence Health Care said patients mostly had effects from edible products that brought on complaints of nausea, vomiting, anxiety and dizziness. Patients started arriving at 3:46 p.m., with the last person coming in at 2:16 a.m. Friday morning. None of the arrivals were admitted to hospital. A total of 60 people were treated at first aid stations on-site. VPD officers handed out eight driving suspensions for the consumption of drugs, and two drivers were criminally charged for impaired driving. Several roadblocks were set up in the city on key routes leading to Highway 1.